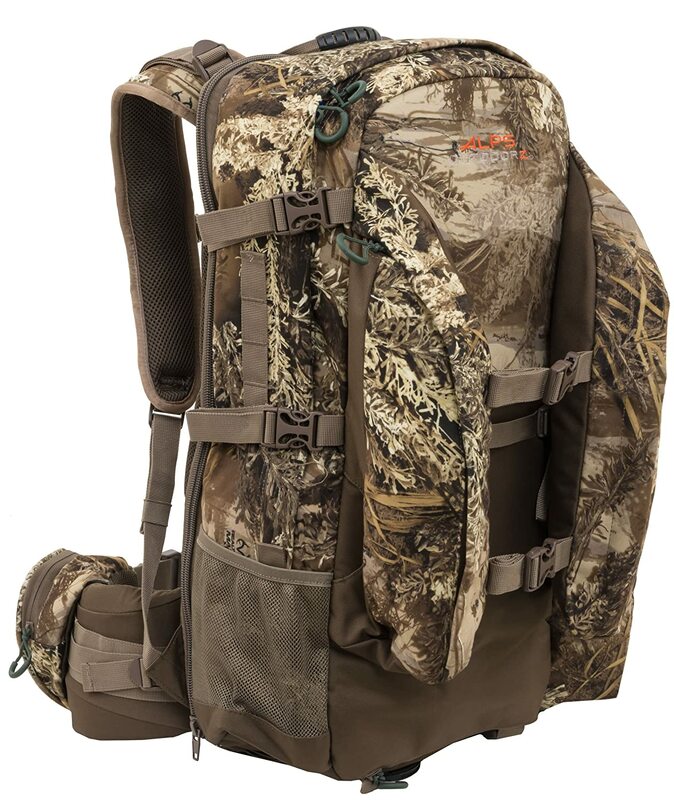 Who doesn’t wish for a hunting backpack that can be used in several outdoor activities? Those products are truly useful and save you from buying more than one similar products for several purposes. Today we are going to show you ALPS OutdoorZ Traverse EPS backpack made for multi-purpose. As a multi-performer, this product should be costly. But this product has a very reasonable price that will satisfy you in every sector of your trip. There are lots of features you will have using this backpack. You can even haul out meat using this product. It is possible because of its great suspension system. The features don’t end here. There are lots of features that we will describe to you below. To be fair enough, no product is perfect. But you can call a product best when it has most of the positive features. We chose this product as the product has many facilities that a professional hunter wishes from his backpack. So, here are those important features below. The design is the best positive part of this product. Actually, the design puts lots of effects on performance. If the design is good and user-friendly then you will feel comfortable using the product. Buying a product will be useless if the product doesn’t give you proper comfort at all. The product today we are showing has a unique design that allows you to carry it on most of the outdoor trips. From pockets to straps every single part has a fine construction. The shoulder straps of the product are comfortable enough. The unique H-frame makes sure the product performs its best all the time. One thing must know is the pockets of this product are organized well so that you can use them properly. Well-constructed pockets are very important. From weapon carrying pocket to normal pockets, all are equally important. ALPS OutdoorZ’s this product has enough pockets to store your gear in an organized way. Drop down pocket is strong enough to carry any kind of rifle. There also front zippered wing pockets available too. So, you don’t have to worry about carrying your weapons at all. Padded spotting scope pockets are integrated with tripod sleeve holders. You will get a waist belt with two pockets. These pockets are easy-to-access at any time. This waist belt is also Holster compatible. An H2O pocket is integrated to make the product hydration system compatible. Shoulder straps are very much comfortable. This backpack won’t hamper your flexibility and movement at all when you are carrying this Backpack. The padded system has made these shoulder straps more useful and makes the product comfortable to carry. Most of the hunting bags are made of quality fabric. All of those fabrics are mostly capable of providing water resistance facility. But depending on only fabric is not enough. Our today’s product has a rain cover. This rain cover can help you keep your backpack dry when it is rain outside. This rain cover is very much useful. It keeps your backpack dry from both inside and outside. The suspension system of this product works fine. It doesn’t matter if you are carrying heavy stuff. The suspension system will adjust and allow you to move flexibly from one place to another. So, the product is eligible for meat hauling. You can haul out meat very easily with the help of this product. Most of the materials used in this product have good quality. H-frame design is very useful and ensures your comfort. Well-organized pockets help you keep your gears safely. Waist belt integrated with two pockets which are easy-to-access. Padded shoulder harness to improvise your matter of comfort. So, now you must have known why this product is one of the most-selling products on the market. All the features of this product are very much essential. The product is capable of producing you facilities for several years. That is how it saves your money by not letting you buy another backpack shortly. That is why, if you wish for a backpack which is durable with several facilities, you must buy this backpack. Snake Eye Tactical Pistol Crossbow Review Today, we are continuing to talk about a crossbow.